We have an 8' chain link fence installed by BSX fence that is covered with a forest green windscreen and gold cap. We also have our 4x8 vinyl sponsor signs displayed on the fence. 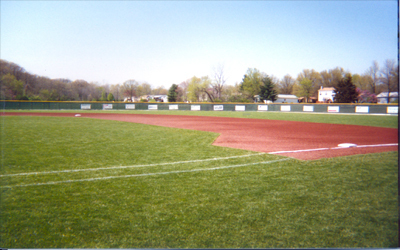 The field dimensions are 350' in the power alleys and 380' in center field.